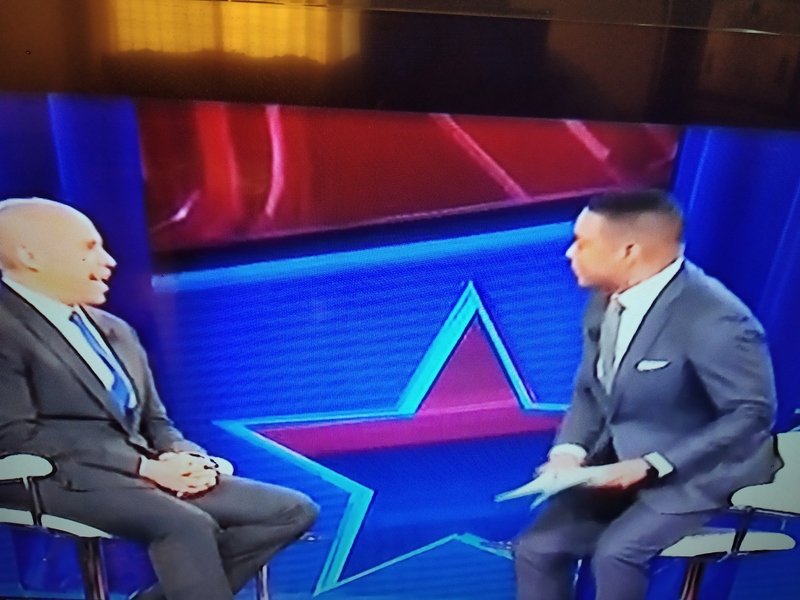 ” CNN Town Hall with Senator Cory Booker – Optimism to Beat Trump is His Watchword ” – March 27, 2019. Tonight’s CNN Town Hall featured the ever effusive Democratic Senator Cory Booker, New Jersey, in Orangeburg, South Carolina. Don Lemon of CNN has been the moderator. 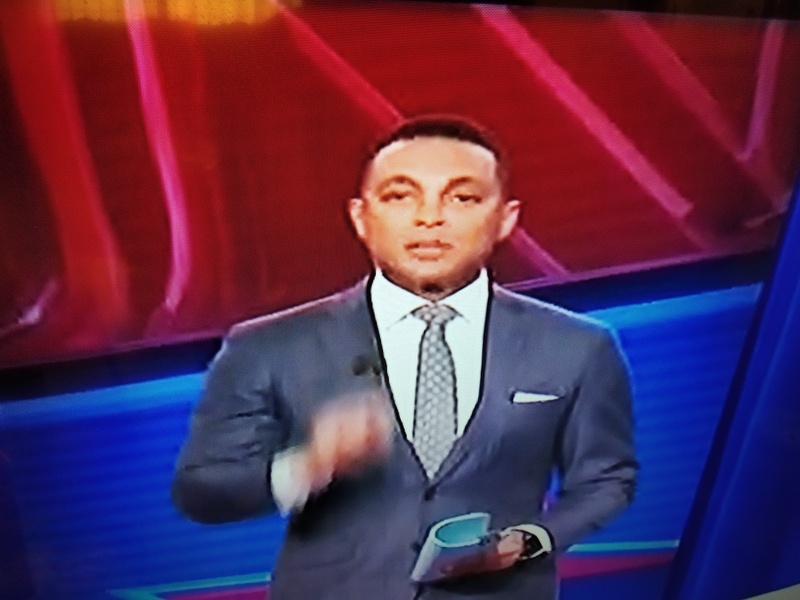 Don Lemon of CNN, moderator. 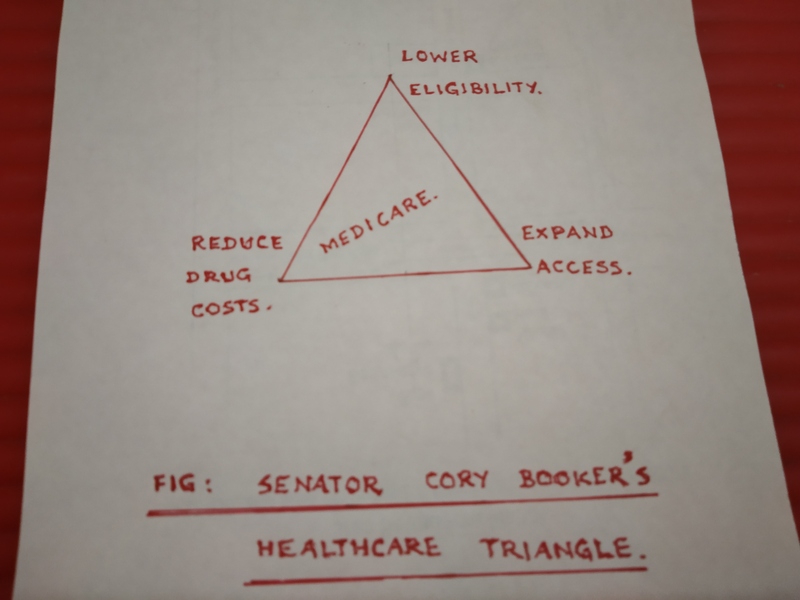 Senator Cory Anthony Booker announced his candidacy for the Democratic nomination for President in 2020 Election on February 1, 2019, by inviting people ‘to help each other’ through a video. The audience questions covered a diverse range of topics : Education ( Cory Booker’s stance – Education for all, fight for Public Education ) ; Healthcare ( Access to expand ) ; Gun violence control (Stringent background checks ) ; Criminal Justice System ( Strengthen further ) ; Environmental stability ( Measure of Planetary Safeguard ) ; Green New Deal ( Give Support ) ; LGBTQ rights ( Preserve rights ) . ‘Unity’ is the chief component – ” not to meet hate with hate, but to meet with love ; not to meet darkness with darkness, but meet it with light “. ‘Love and Compassion’ can win more people with an imperative to inculcate a sense of togetherness (with all communities) at this critical moment in America. He cited his ‘Environmental Justice Bill’ as an accomplishment to his credit.He felt that public good and public welfare will be undermined in the absence of this movement. As with other Democrats, Senator Cory Booker, placed Healthcare in the top rung of the lists for enforcement. Specially, he emphasised ‘lowering eligibility’ to 55 years with a view to cover a large number of citizens even while ‘ ‘expanding access’ to healthcare. ‘Reducing drug costs’, especially the prescription drugs will constitute his third aspect of focus here. That Healthcare is in the DNA of Democrats cannot be missed. “Moral Vandalism” is how he described Trump’s governance. ‘Beating Trump’ is the first priority. ‘Pursuing Justice’ to all, and ‘Ensuring American Core Values’ are the other two priorities. He is keen to enhance the belief that every problem is directed to take the best solution ; he is keen to get people with the right disposition to take the best of every program ; and he is keen to achieve the highest efficiency in all his actions. 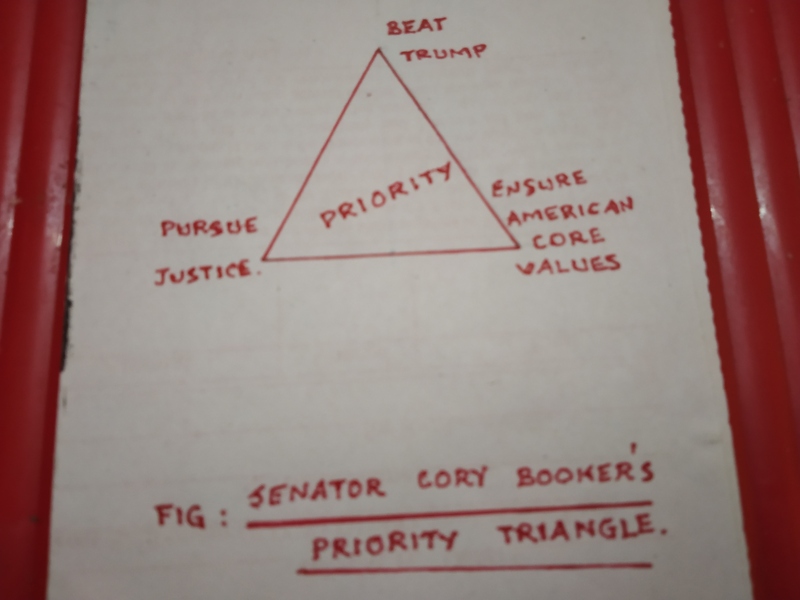 This is how he will defend the triad of priorities. He portrayed himself as a person in a hurry to make things right for people. Democrats this time seem more inclined to support a candidate who has the winnability gene in his/her nucleus, than perhaps anything else, anyone can offer through any programs. 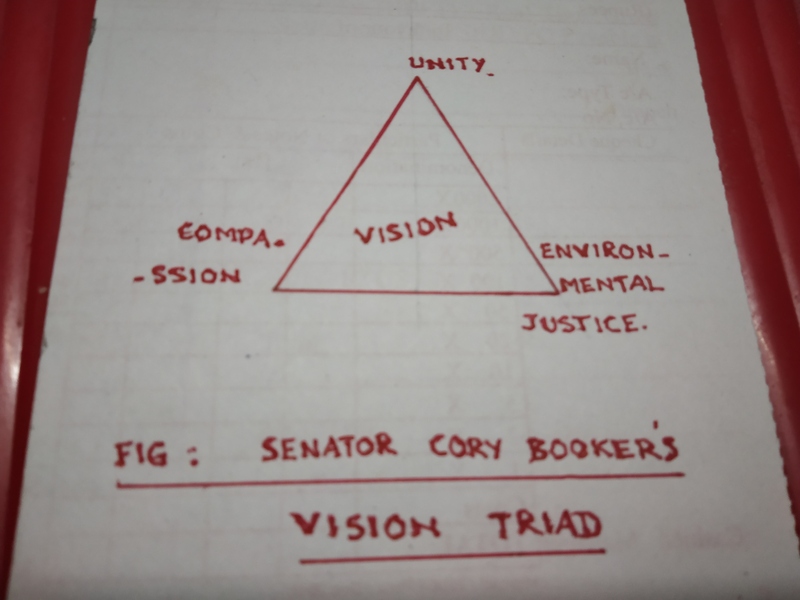 Cory Booker exuded through his oratory his power of work, vigour, and action with a willingness to give strength, force, and meaning to the requirements and needs of the citizens. He also received complete approval of the audience in the Town Hall as evidenced through the unstoppable clappings for his every answer. Senator Cory Booker’s performance speaks of a great beginning that needs to last for the next 595 days to be the first bachelor in more than 130 years to become the President of the U.S.A.
Tidbit : ” You can’t campaign wrong and govern right ” – Senator Cory Booker.